How do Hard Money Lenders Differ from Each Other? With today’s tight bank lending restrictions, you may not qualify for traditional financing and need to seek other avenues to finance your project. Regardless if you need capital for purchase or refinancing of either residential or commercial property, you may need a specialized approach—a hard money lender. If typical mortgages cannot be secured, then a hard money bridge loan may be an alternative. These loans are secured by real estate, carry higher interest rates and are short-term in nature. Consider the following a checklist when choosing a hard money lender. · Requires sufficient capital. The hard money loan company you want to work with must have enough capital to service multiple short-term and long-term loans at the same time. These loans run one to two years, although some loans may have terms up to seven years or longer. · Proven track record. A veteran lender that has a proven track record who knows the complexity and difficulty to structure a hard money loan will put you at ease and make you feel more comfortable with the process. · A diverse portfolio of lenders. When seeking out a hard money loan for your project, look for a lender with a deep bench of investors who are varied in projects that they finance and have the depth in net worth to create varied loan structure solutions. When you verify that the hard money lender has a deep portfolio of investors then this assures you more loan structure options. · Shortened turnaround time. You have done your research, visited a number of properties and located your new project. Your offer to buy has been submitted and accepted. Now you need to finance the project. Time is of the essence and you need a hard money lender who can put together financing quickly. 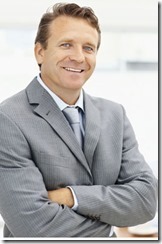 In narrowing your search for a lender, you need to discuss this with the lender upfront. To improve your chances of investment success and continued training, lenders will have programs, software and tools they will offer with the loan to assure their investment is in good hands. Do not be afraid to ask what tools the lender is willing to provide. A reputable hard money lender will be invested in your success and, let’s face it, they do not want the property back. Make your list of the pros and cons of each lender when making your final choice. Now you have located your property, your offers been accepted, and you’ve spent time locating and narrowing down the lenders that you would like to use. The next step is to spend hours talking with varied lenders and contact the BBB. Find out which tools each lender will add in with the loan to help with your success. Make up your Pro and Con List. On your list, add the lenders capitalization, BBB ranking, do they offer financing in the state of project, provide tools over the competitor’s, and which one is eager to work with the type of project you are investing in. Now is the time to choose, finance your project and begin.